Welcome to Grace UCC online! We as a church have been serving as disciples of Christ in Uniontown and Lake Township for 175 years, and we are always seeking new ways to connect with others. Take a look around to learn more about who we are as a church, our mission and vision, and information on upcoming events. We welcome you to join us! Contact us with any questions you may have, and may God bless you on your faith journey! 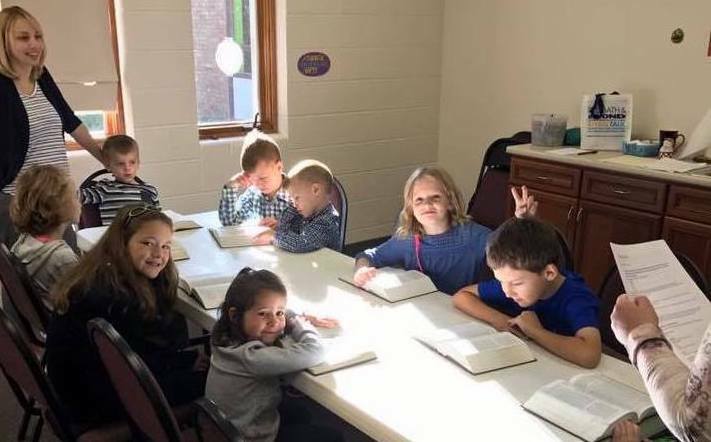 We have Sunday School for all ages begining at 9am before Church. Come and grow in faith with us. Being together in Christian Community is important. We invite you to join us as we gather together. Throughout the year the Christain Education Team plans events that help us deepen our faith. Missions is a way for us as Christians to respond to our baptismal call to go out and make disciples of all people. We have many ways that we reach out to our community. Please join us as we serve others. We will offer a number of meaningful experiences in observance of Lent and Easter. The Micah Project will feature educational and service opportunites during the Lenten season. Our next Swiss steak dinner will be on Saturday, April 27th.